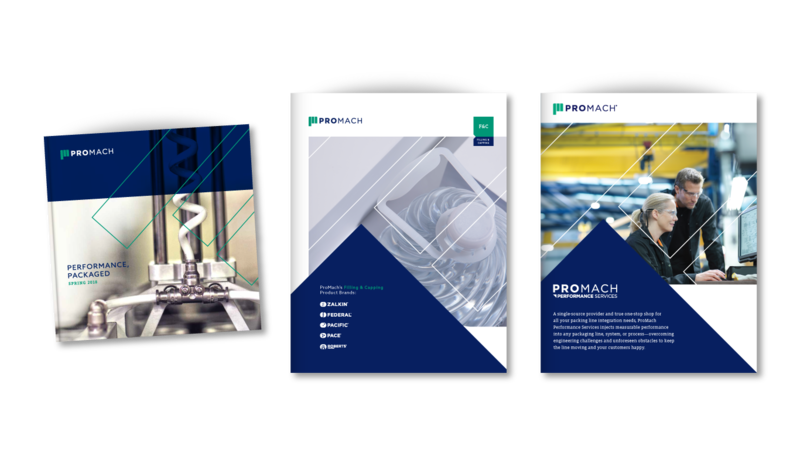 Over the past 20 years, ProMach has acquired multiple best-in-class packaging machinery companies all over the globe.  After acquisition, each of these companies would continue to use their existing brand assets, with the only update being a small endorsement line that read Powered by ProMach. 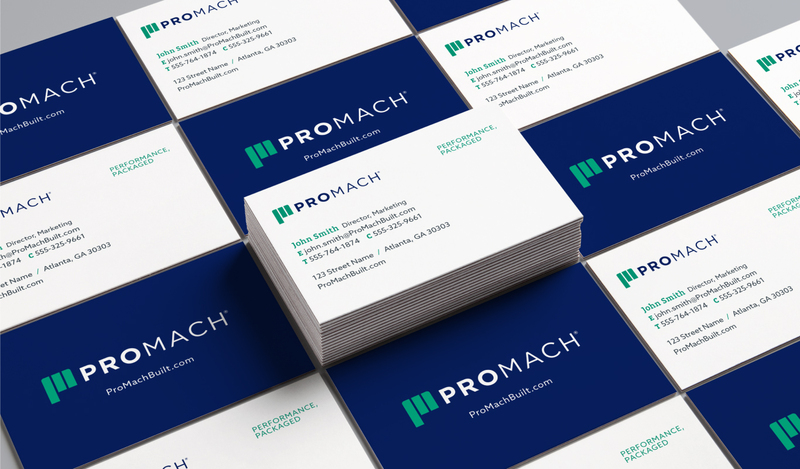 There was an inconsistent brand experience, communication approach, and understanding of what role ProMach played: 26 different brands, 26 different logos, disparate collateral, websites, and trade show presence. 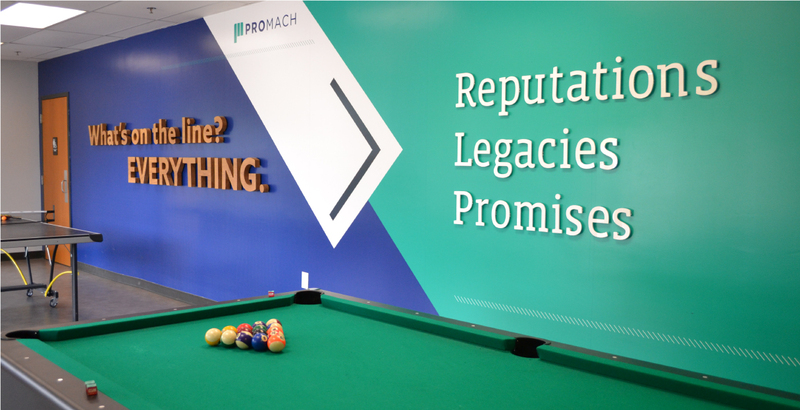 ProMach recognized it was time to define a provocative brand story that tied their companies together. 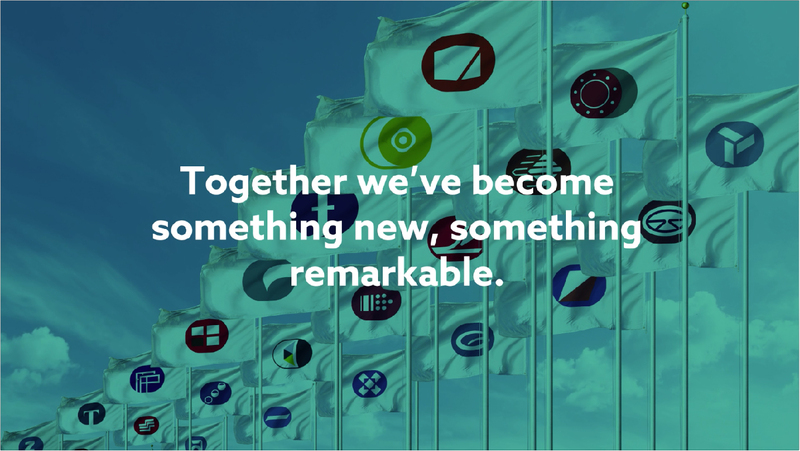 It was understood that a unified brand experience would bring the entire global organization together, generate a better sense of community, create internal advocates, and ultimately present its evolution to their customers and the entire industry. 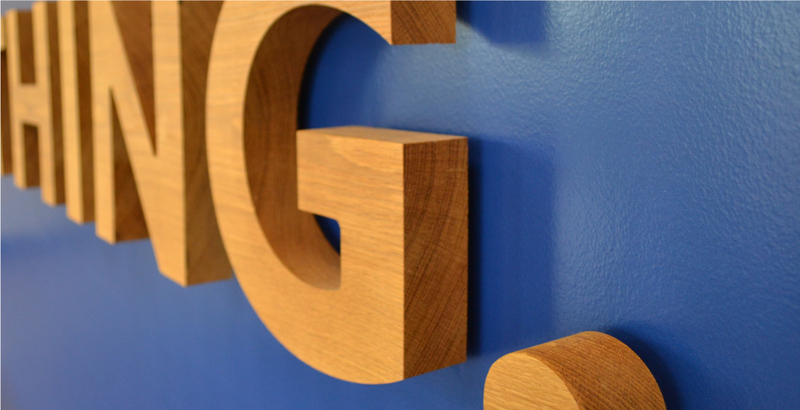 Phase 3 conducted extensive quantitative and qualitative research with both internal and external audiences. 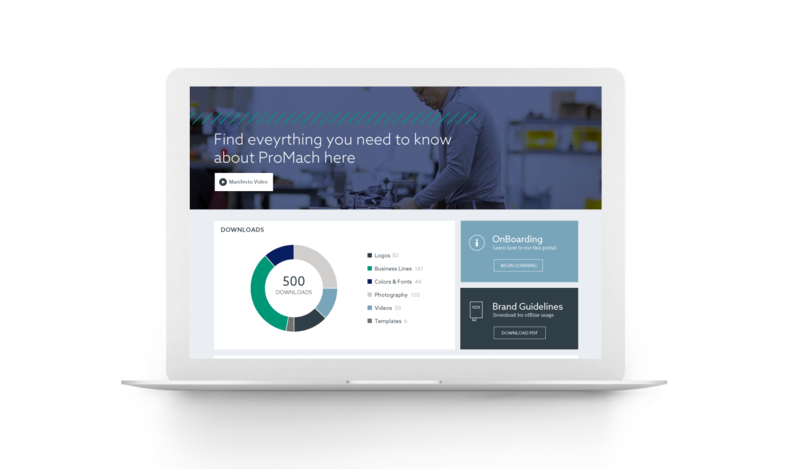 Using our research-driven insights, we created a new brand platform that showcased ProMach’s collective innovation and strength as a united organization.  The process included a new visual identity for the corporate brand, as well as consistent architecture for the 26 product brands. 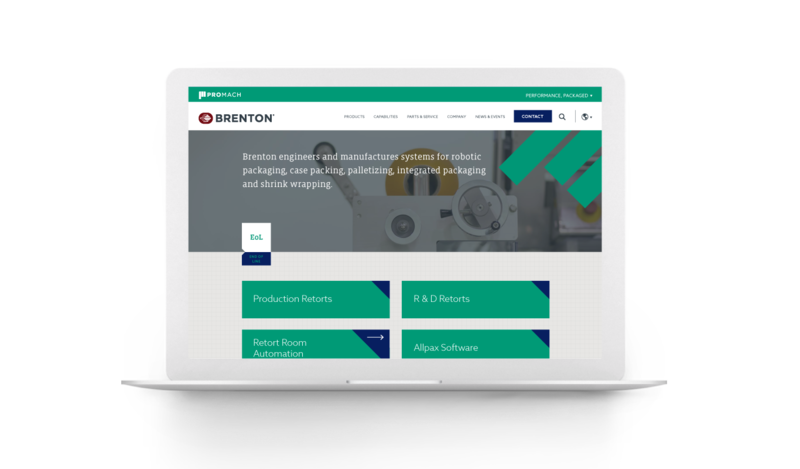 We also orchestrated the internal and external brand launch, including the development of the website and brand governance portal, facility signage, and branding and collateral development. 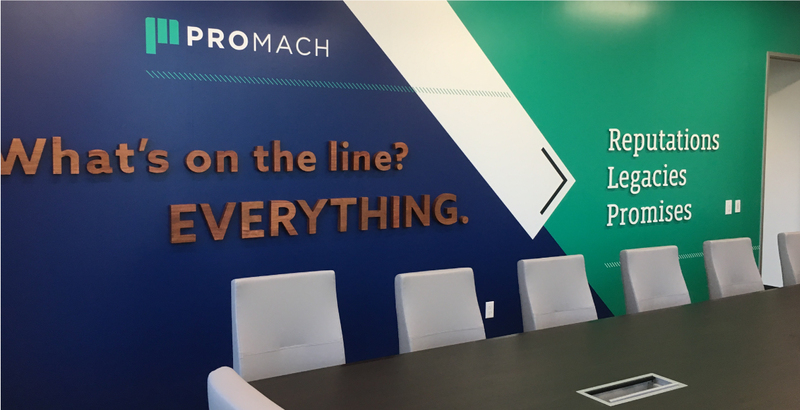 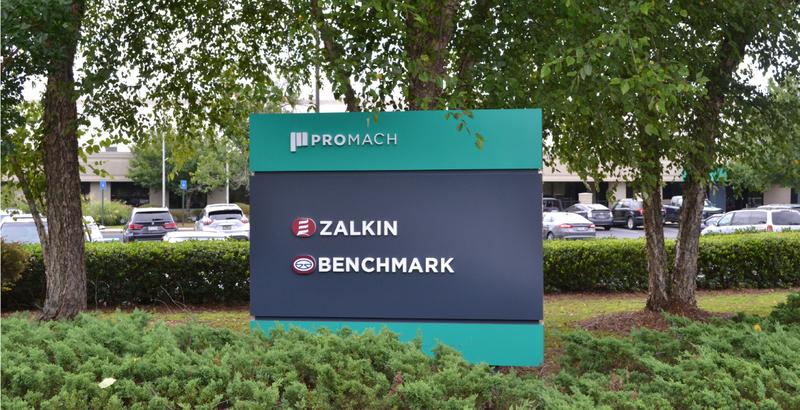 Phase 3 was instrumental in helping ProMach elevate its brand to the next level—listening to our needs, providing expert guidance, and truly partnering with us to help achieve our goals. 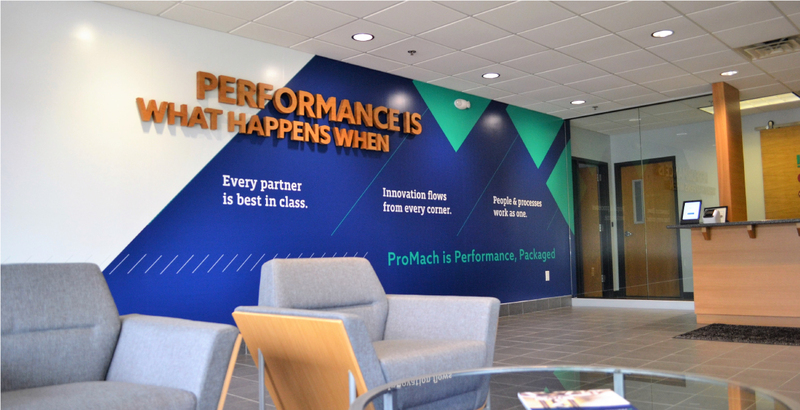 The ProMach visual system can be summed up with the simple statement—always advancing performance. 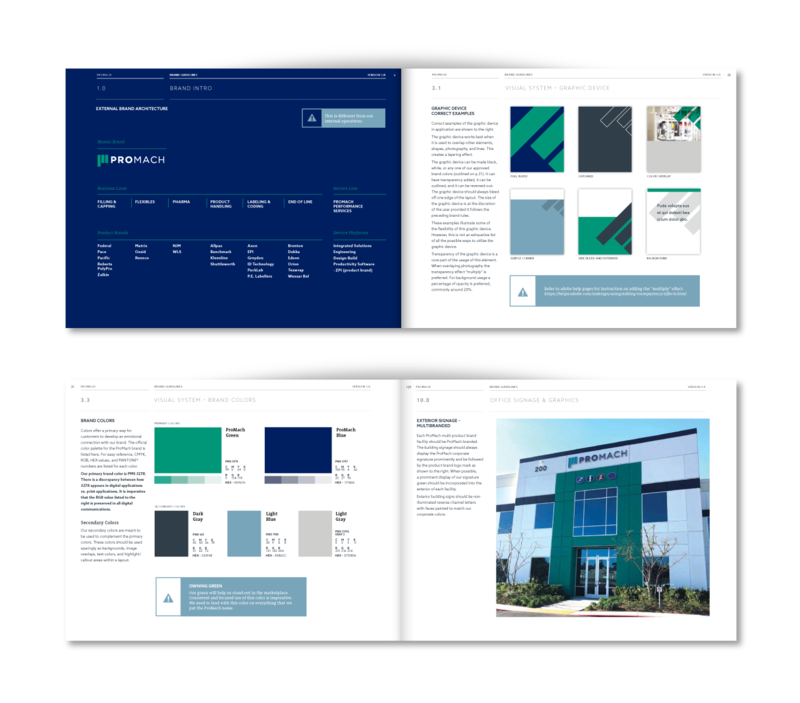 Over 225,000 pieces of collateral have been designed, printed and shipped. 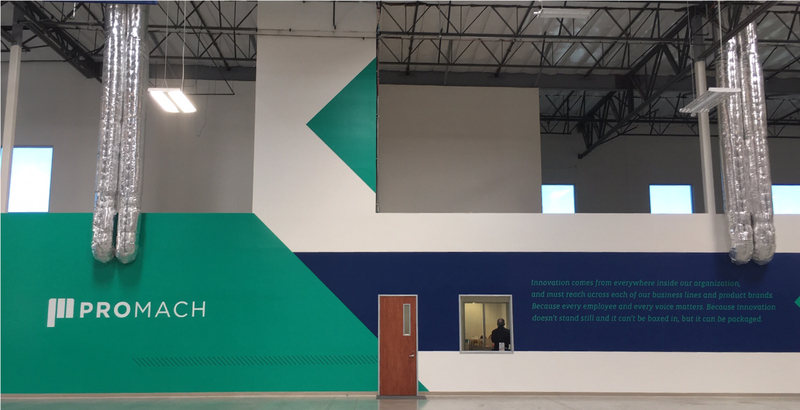 Over 820,000 square feet of facilities branded and installed.  Post-launch, there was a 20% increase in unaided brand awareness of ProMach as an integrated solutions provider. 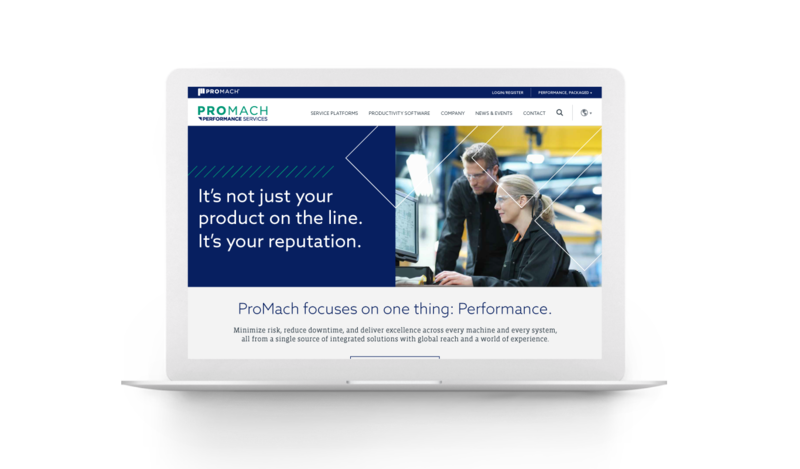 The new unified branding was rolled out via internal launch at ProMach product brand facilities across five separate nations, and embraced with heart by leaders, managers, and employees. 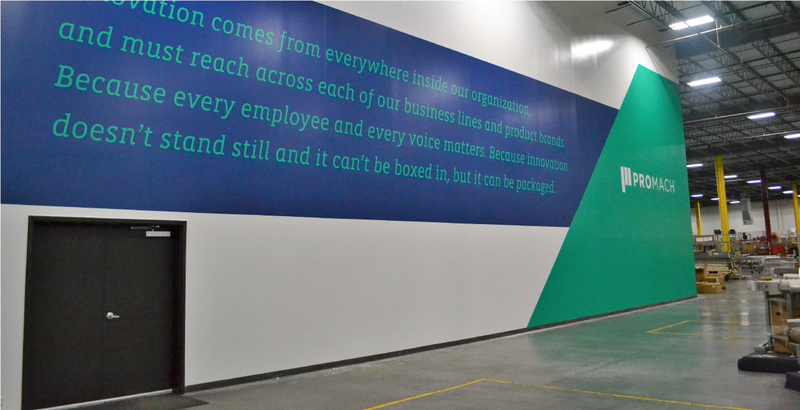 After the internal introduction, a new industry-facing campaign was launched was well. 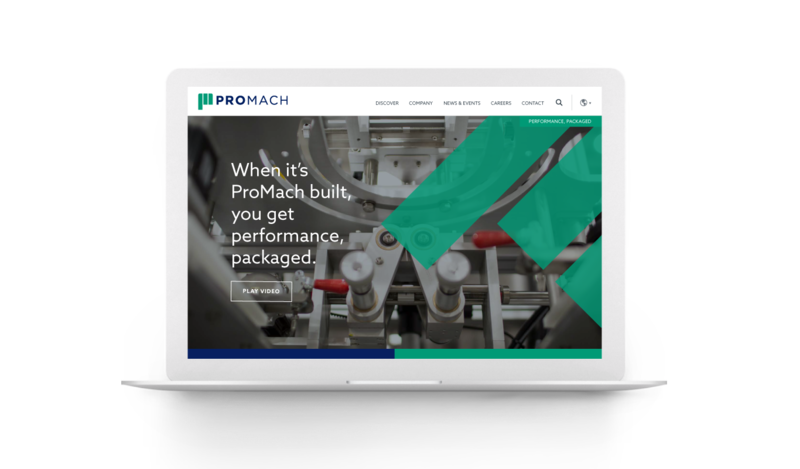 Now ProMach is telling a consistent and compelling brand story, thanks to a unifying vision that brings their core brand to the forefront and unites all their product brands—and all their employees—under a sustainable and strategic brand platform.